No matter how much we try to convince ourselves otherwise, I don’t think there’s a soul out there that enjoys the wrinkles, dimples, strays and grays that come with aging. I know, I know, we’re supposed to embrace them as the signs of a life well lived and let Mother Nature do her thing, but I’m sure I’m not alone when I say I’d much prefer to slow her down, or better yet, have her come to a grinding halt. Now in my mid-thirties, I can finally see the silver lining in the oily skin I inherited from my mother, recognizing that it just may be keeping the lines at bay. In my teens it was a curse, now it’s a blessing (thanks, Mom!). Because there’s no stopping the aging process (unless you’re prepared to spend lots of time and money getting lifted, tucked and lasered on the reg), why not fake it out with a little help from the latest in age-defying skincare. Powered by age-proof superstar ingredients, these natural yet mighty skincare products will kick your anti-aging routine into high gear and have you looking years your junior in no time. I know all about the mighty chia seed as a nutritional super food, but chia oil in skincare had me intrigued. 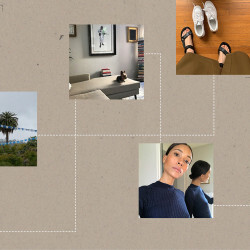 I had to get the low-down from Susanne Norwitz, founder of Maya Chia, a clean beauty line with supercritical chia oil at its core. Norwitz was never interested in fly-by-night ingredients or the latest in trends that under-deliver. “We knew chia seed oil may sound trendy, but we also knew it was the world’s most nutrient-dense botanical source of omega fatty acids, antioxidants and minerals, and it would be an oil that would stand up over time,” she says. When asked about the tiny seed’s age-proofing abilities, she points out that “the Nutritional Science Research Institute tested the nutritional value of chia seed and said it contains ‘the highest amount of antioxidants we have ever measured’ and cited it as one of the most powerful whole-food antioxidants we know.” If that’s not impressive enough, chia oil has also been clinically proven to significantly increase skin hydration, reduce water loss and increase skin barrier function. The term “supercritical” refers to the method of extracting the oil, a gentle oxygen-free, solvent-free process that results in oil with a complete absence of chemical residues and impurities. 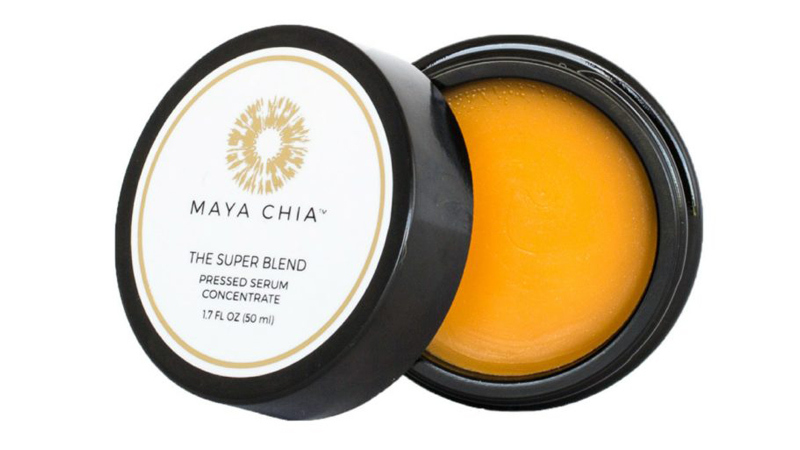 A showstopper in the Maya Chia line is the Super Blend Pressed Serum, a balm-like moisture concentrate that pairs chia oil with some of nature’s most effective age-proofing ingredients including vitamin C and CoEnzyme Q10. Pretty hard to argue with stacked credentials like these. Retinol certainly isn’t a new kid on the anti-aging block, but according to Marie-Veronique Nadeau, the skincare guru behind the natural line Marie Veronique, it’s still one of the most effective anti-aging ingredients out there. Nadeau, a chemist who collaborates with her bio-medical engineer daughter to carefully craft each product, insists that “the two absolute best anti-aging ingredients, and all dermatologists will agree, are vitamin A derivatives or retinoids (either retinol or retinoic acid) and vitamin C in the form of ascorbic acid.” She points out that the combination of retinol paired with the powerful antioxidant properties of ascorbic acid boosts collagen production and speeds cell turnover to smooth lines and wrinkles. “The anti-aging benefits of vitamin A were discovered by observing that people who were being treated with retinoids for their acne were also noticing a reduction in their wrinkles. That got everyone excited, and 40 years later it’s still the best anti-aging news around,” she says. Admittedly I’ve always been a bit wary of Retin-A (is it just me or does it sound kinda scary? 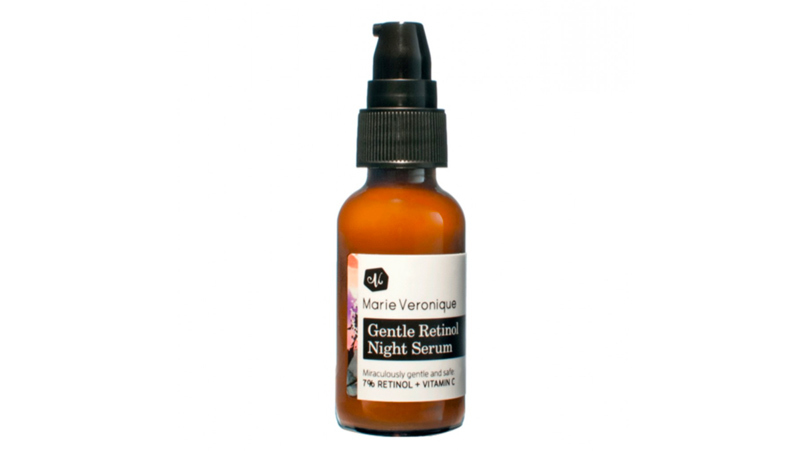 ), but what Nadeau has created in this Gentle Retinol Night Serum is a high-tech formula that stays true to its name (read: gentle), delivering the same results as a typical Retin-A product but without the irritation. As a bonus, the exfoliant properties have my skin texture WAY improved. We can’t forget about the eyes—arguably one of the first places we begin to see the signs of aging—an area that has always been an afterthought in my own skincare routine, that is until now. Eye creams have always been a pain point for me, but I’m putting grudges aside and getting serious about wrinkle prevention. Anything with “nature’s botox” in it is a win in my books, so of course this Eye Revitalizing Duo was a total no-brainer. I’m particularly partial to the cooling rollerball application of the Eye Dew, which provides a gentle lymphatic massage and encourages absorption of the product. Vero points out that the Eye Dew has been scientifically proven to result in an age correction improvement of 5 years in just 28 days of daily use. As if this product could get any better. Who else is guilty of neglecting their neck and décolleté as part of their skincare routine? Say “I.” It’s only now that I’m starting to see the lines and wrinkles that are the signs of neglect that I wish I had paid a bit more attention. Enter Neck+ to (I hope!) help undo or at least minimize some of the damage done. 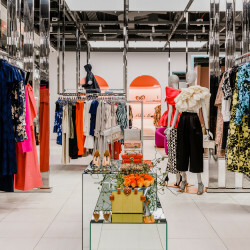 Yes, incorporating a product like Neck+ into your skincare is adding an extra step in an already lengthy routine, but I for one would rather a hefty arsenal of products than a face (and neck) full of lines. Could the secret of youth be contained in this very bottle? The name certainly implies so. Natural skincare maven May Lindstrom created what she calls the “ultimate glow potion” by combining a power-packed bouquet of 20 regenerating plant and botanical oils infused with the time-stopping properties of CoEnzyme Q10, but the age-proof superstar ingredient is arguably Meadowfoam Oil. This miracle oil helps add moisture to the skin, provide natural UV protection and reduce the appearance of fine lines. It is thought to be particularly effective for mature skin due to its high antioxidant composition. 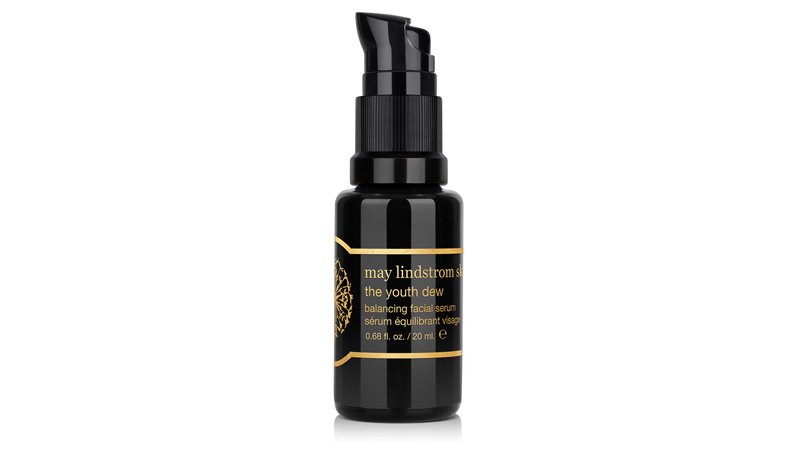 Lindstrom points out that the Youth Dew “provides gorgeous hydration while balancing your natural oil production and slowing the onset of lines and wrinkles.” This is such a powerhouse product that she insists that you could replace your creams, lotions, toners and array of serums with this single bottle. Hard to argue with going the way of the minimalist and getting time back in my day. Sorry to be a buzzkill here, but just when you thought you had the anti-aging game beat with all of these wrinkle busters, there’s UV damage and age spots to consider. 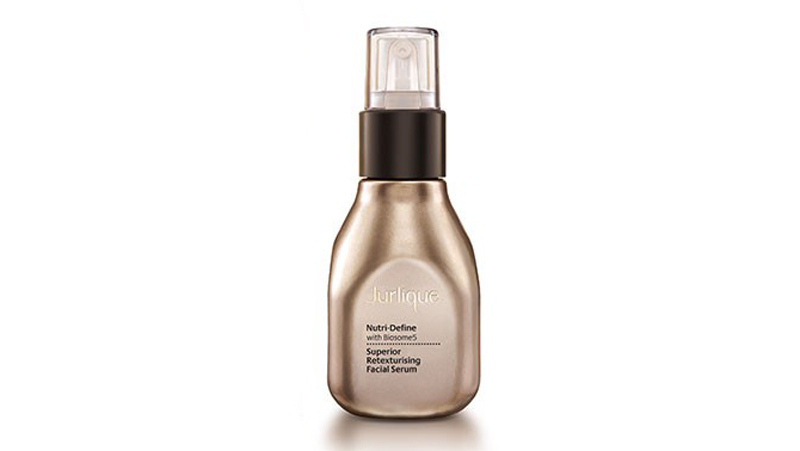 When it comes to these two killjoys, there’s a little-known ingredient called squalane that has the chops to tackle them, and I asked the folks at Jurlique to tell me more about it. Derived from olives, squalene contains high levels of phenols, which can aid in protecting the skin from UV damage as well as the formation of age spots. It also mimics the skin’s own lipids (sebum) and prevents water loss from the surface of the skin, maintaining suppleness and elasticity. But this isn’t the only age-fighting ingredient you’ll find in this silky-smooth serum; it’s chock-full of other potent botanicals combined with a natural liposomal technology to address multiple signs of aging. Now that we’re armed with all the lotions and potions we need to keep the lines and wrinkles at bay, let’s turn our focus to combatting the signs of aging from the inside. By now you’ve probably heard the term “ingestible beauty,” a blend of targeted ingredients in capsule or liquid form designed to be taken orally as part of your health and beauty routine. Sara Palmer Hussey, PhD, created the groundbreaking anti-aging supplement Lumity to help counter the nine causes of aging from within, providing targeted nutrition that naturally stimulates the body’s defenses. Three capsules in the morning promote collagen production, detoxification and oxidative damage repair, and three before bed stimulate the release of human growth hormone that fast-tracks the healing and repair of the body’s tissue. After my 4-week run with Lumity, not only did I see a lit-from-within quality to my skin, but the quality of my sleep improved, and we all know how sleep and beauty are like PB&J—they go hand in hand. I’m a consistent champion sleeper, so I have zero probs on that front, but it was the depth of sleep that I picked up on, waking up feeling supremely well rested.